Just got to Spain and will be drinking some awesome Albariño and other vinos all week, so stay tuned! Also, staying in Santiago de Compostelo tonight at the Paradores Hotel – which they think is the oldest hotel in the world! Built in 1499. Crazy! 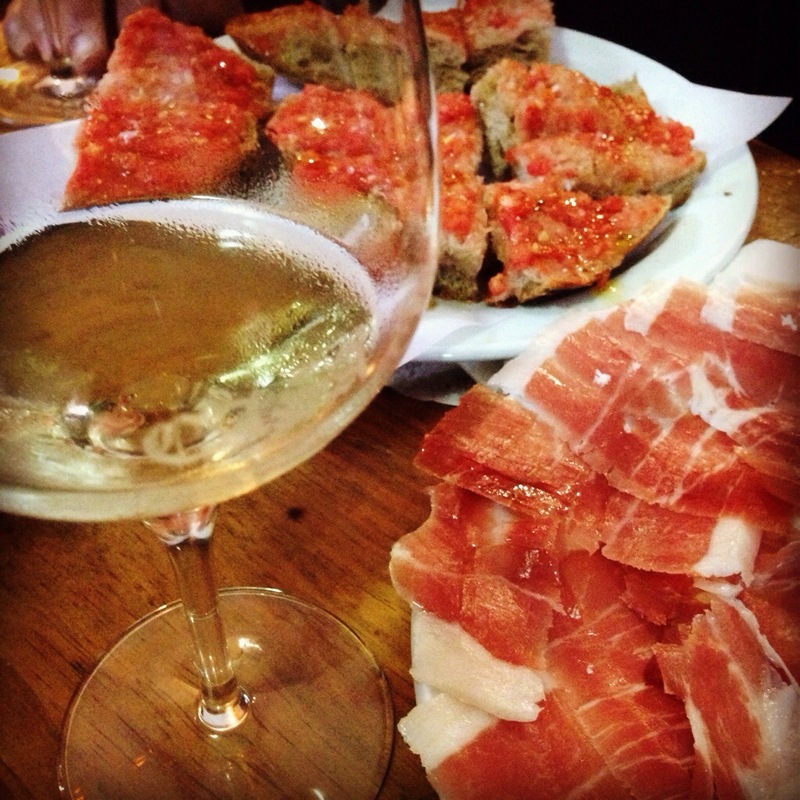 Tags: food & drink, godello, jamon, spain, wine. Bookmark the permalink. 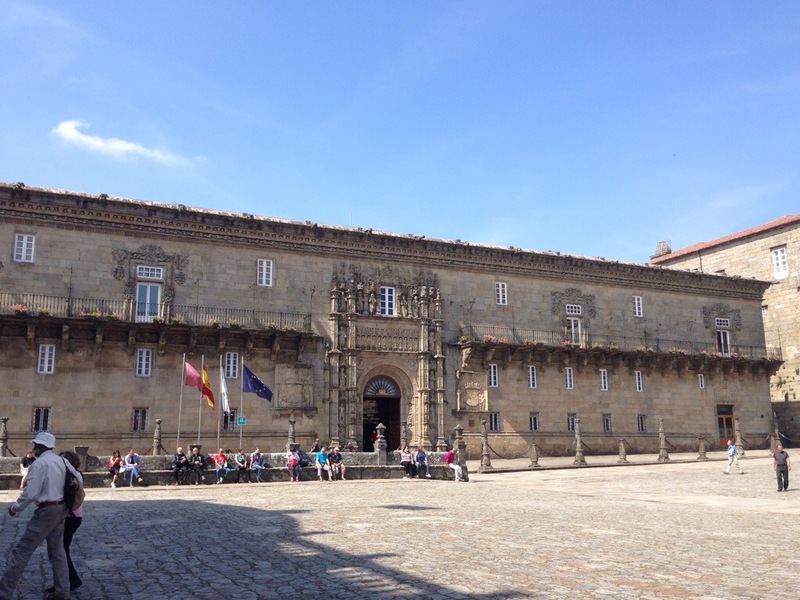 El camiño de Santiago is beautiful and the food and wine is to die for! Hope you have a blast! Gracias! So far all you’ve said is totally true! We stayed at that parador and loved it. Enjoy! Happy wine exploration!! Is it still the razor shell period? If yes, do not miss this delicacy 🙂 Looking forward to your updates! Gracias! Hmmm haven’t seen any razor clams around yet, but who knows. Will keep an eye out! I studied abroad in Austrias, which is a bit more similar to Santiago than the cities in the South. I’m not quite sure how long you’ll be there for, but don’t miss any of the seafood and if you’re ever close to Austrias and see sidra as a drink option, I completely recommend it even though it is a cider and not a wine. Have had some seafood but not nearly enough yet! Will look out for sidra as an in between wine option! Absolutely love Spain. I went there on my honeymoon several years back. Enjoy it! Pour out some Ribera del Duero Tinto with Juan and Ricardo, viticultor & winemaker, at their Bodega Valderiz, Roa. Their wines are seasoned with the mineral flavours extracted by thirsty vines from the bedrock underlying 40 different terroirs selected by their father scattered around this 2,400 foot above sea level meseta in the dry overheated Spanish heartland. Currently King of the Castle is the Juegabolos well aged in French oak to weave those complex subtleties together to intrigue our olfatic senses. Sounds good but I’m in Galicia only – all Albariño!